Website, animated masthead and marketing for The Holistic Pulsing Guild (Inc) of New Zealand. Concept, graphic design, “Ripples” newsletter Masthead, WordPress HP Core Group administration-training. Members of the Holistic Pulsing Guild access the password only area of website for resources/member newsletter. The NZ Holistic Pulsing Guild, Inc. was inaugurated in New Zealand 1992, one of the first members of the NZ Health Charter. 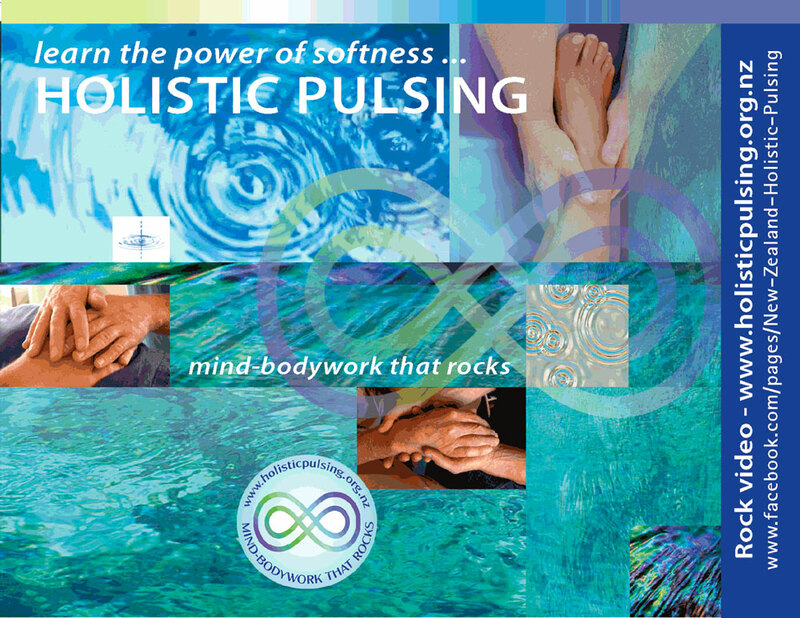 Visit: www.holisticpulsing.org.nz for more information and to access a practitioner or training near you. Holistic Pulsing is fun and easy to learn and give to clothed clients of all ages and most health conditions.